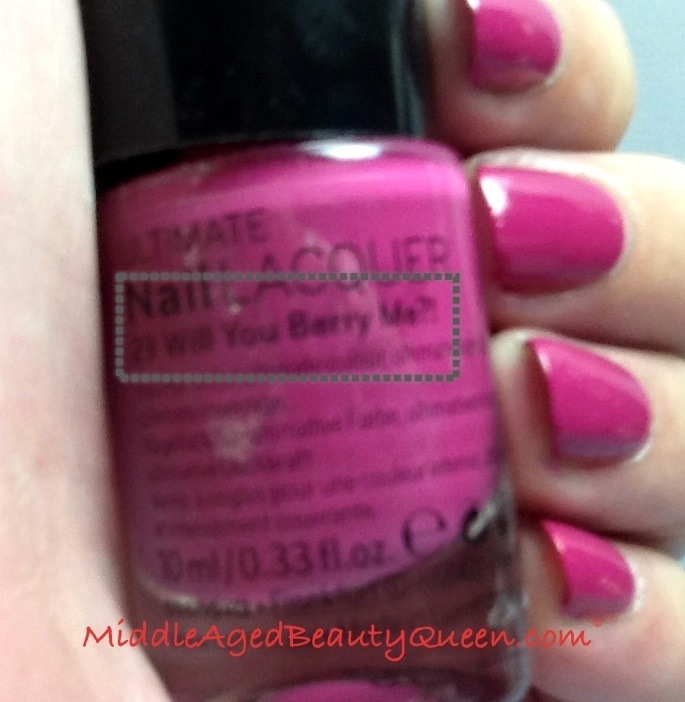 NOTD: Nail Mail from a Friend ~ Catrice Will You Berry Me? Will You Berry Me? From Catrice is a gorgeous berry cream. 1 coat would have more than adequate, but I did do 2 coats and (gasp!) no top coat! I feel as if I’m half naked. I received the sweetest package of nail mail from my friend in Germany. She sent me 2 Catrice and 1 Essence along with some Dior eye cream samples. (The samples were to throw off the customs) and it worked. Although I’ve had problems with receiving packages mailed from the UK, Germany doesn’t seem to be as strict, but nevertheless I am not going to identify my friend or link her blog, just in case. I would hate for her to get into trouble. Catrice Nail Polish is made in Luxemburg, it is a drug store polish although I believe itis more expensive than Barry M. Catrice has some of the cutest names for their polish, Hip Queens Wear Blue Jeans always cracks me up! The polish itself is very high quality and could easily, in my opinion be a high end polish. It reminds me of Estée Lauder polishes with the way the formula is so smooth and easy to apply. The brushes are shorter, with a flatter brush, but not as wide as Wet n Wild Mega Last or Sally Hansen CSM. You can purchase Catrice through Amazon. I never have, but just be sure to check out the seller’s feedback profile before ordering and I’m sure it will be fine. 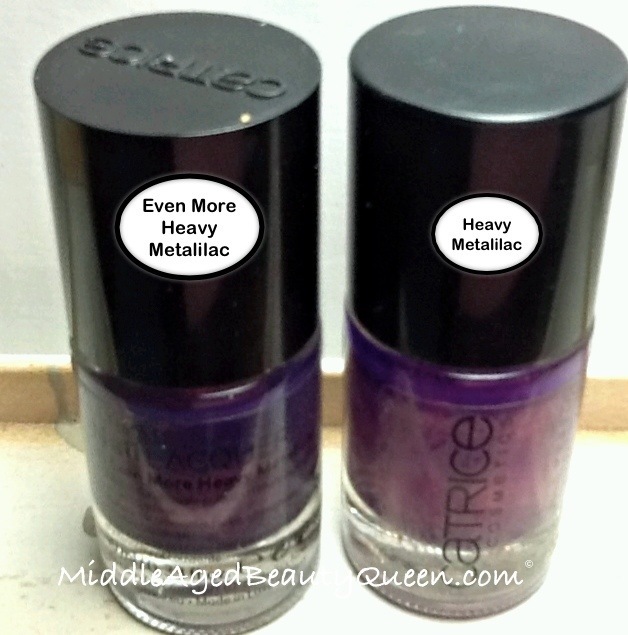 I give every Catrice polish I’ve tried 5/5 stars 🌟🌟🌟🌟🌟 Not a clunker in the bunch! These are Even More Heavy Metallilac and the original Heavy Metallilac. I wanted you to se them side by side so you can see the difference. The Even More Heavy Metallilac is a much deeper, richer purple. Heavy Metallilac was my Mom’s all time favorite polish. It will be a while before I can wear that one. i am so happy to have Even More Heavy Metallilac and I would have worn it first, but the Will You Berry Me? matches my dress perfectly. I have a Service League meeting to go to today, otherwise I would be rocking Even More Heavy Metallilac for sure. This is Ice, Ice Baby from Essence Ice Cream series. What a perfect lady like pink. We all need those in certain occasions!